Smart Belt 2.0 Reviews - The Best Belt For You? Initially founded by Holt Evans & Radu Zarnescu, the upgraded Smart Belt 2.0 adds a Kevlar core, vegetable tanned Italian leather, and mix-and-match strap and buckle compatibility. Compared to the previous version, which was advertised as the most crowdfunded accessory in history, Smart Belt 2.0 promises to deliver a Kevlar core that’s indestructible and lightweight, 32 micro-adjustments for custom sizing, and rare, vegetable tanned Italian leather with a scratch-resistant coating. Additionally, customers can cut their belt to the exact length they need by simply measuring, trimming, and attaching the buckle. The company clearly experienced a great deal of success with Smart Belt 1.0. And with three weeks remaining in their campaign for Smart Belt 2.0, they’ve already raised more than $1 million on an original goal of just $10K (as of this writing). But does that necessarily mean you should go ahead an place an order? Or, are there competitors that might deliver comparable—or even better—value for the money? Let’s begin by comparing and contrasting their functionality. Smart Belt 1.0 vs. 2.0: How Do They Work? According to their Kickstarter promotional video, Harmattan Design sent all 15,000 Smart Belt 1.0 backers a user satisfaction survey and found that 92% were pleased with their purchases. Feedback from the remaining 8%, they say, helped them make 2.0 an even better belt. Both Smart Belt versions feature straps that are 35 mm (1.4”) in width, with a maximum waist size of 45” (115 cm). They also boast the same 6.4” ratcheting mechanism that allows users to choose between 32 different micro-adjustments. 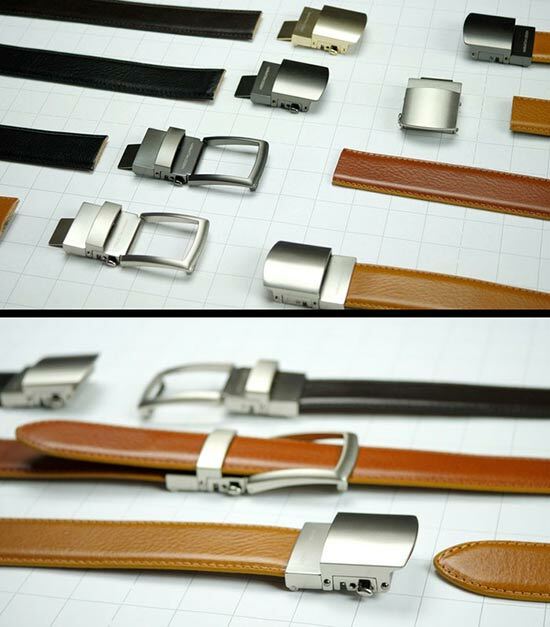 Whereas 1.0 was only available in Brown and Black colors, Smart Belt 2.0 adds three more: Tan, Cognac, and Blue. This upgraded version also comes with your choice of Silver, Black, or Gold Classic or Minimal (new) styles. There’s even a nickel free option available for backers with allergies. After cutting your belt to size, if necessary, 2.0 comes with buckles that are easier to attach, along with reinforced release levers. Smart Belt 2.0 also features the same thick, rare, vegetable tanned Italian leather as the original, which is sourced from a small valley in Tuscany that's said to provide more resilience than natural leather, and is also softer, more ecologically friendly, and smells better. Each one includes a certificate of authenticity and a serial number. Smart Belt 2.0 also comes with a scratch resistant coating over this leather strap, which they claim can help hide wear and tear. How Much Does Smart Belt 2.0 Cost? According to the campaign, purchases will ship in the order that pledges were placed, with 4,000 fulfillments going out per month. All Smart Belt 2.0 orders come with a 30-day money back guarantee. 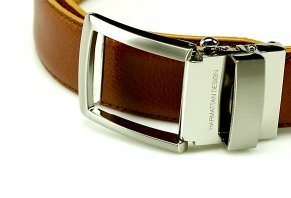 According to their stipulations, the product must be returned in “good working order and with no apparent marks or signs of wear.” All belts also come with a limited two-year warranty from the receipt of the product, which covers manufacturing defects or structural failure of the buckle or the strap. The good—and potentially not-so-good—news is that Smart Belt isn't your only option when it comes to ratcheting (also sometimes referred to as ‘no-hole') leather belts. Like the product in question, many of these options allow you to mix and match buckles and straps, as well as trim the leather to your preferred length. This is to say nothing of the dozens of generic leather ratchet belts widely available on online marketplaces like Amazon, Walmart, eBay, and Google Shopping (to name just a few). While none offered customizable strap and buckle combinations, some of these were available for as little as $5 at the time of our research. Granted, none of these options advertised Kevlar cores or scratch-resistant leather like Smart Belt 2.0. Does this necessarily mean it will deliver better value? Is it worth the wait? Let’s answer both of these questions in the next section as we come to a conclusion. Should You Place an Order for the Smart Belt 2.0, or for Another Ratchet Belt? According to Real Men Real Style, buying a belt isn’t exactly rocket science and only involves a few basics (outside of common sense and personal tastes, of course). These include maintaining a few inches of length after the buckle (which is often adjustable when it comes to ratchet belts, considering their straps are typically trimmable), as well as keeping in mind that bigger belt buckles generally are less formal and that their color should match any jewelry you regularly wear (i.e., wedding rings). Another potentially important factor to keep in mind with products like Smart Belt 2.0 is that they often encounter delays when moving from the crowdfunding stage to full-scale production. However, given the fact that Harmattan Design already successfully delivered on their pledges with Smart Belt 1.0, we might imagine that many of these obstacles could already have been overcome. With all of these details in mind, while there are dozens of potential competitors, we didn’t encounter any options that delivered the same combination of a Kevlar core, scratch-resistant Italian leather, and 32-position ratchet mechanism as Smart Belt 2.0 during our research. So, if this is precisely what you're looking for, it's currently the only game in town. Just keep in mind that while Harmattan Design stands behind Smart Belt 2.0 with a 30-day, you’ll lose your initial S&H charges, plus whatever it will cost to ship your belt back to the manufacturer if you’re not pleased with its performance. As such, it’s not a completely risk-free transaction. Write a Review for Smart Belt 2.0!